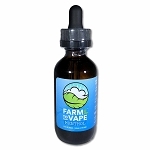 Farm to Vape's Mango is the easiest way to make mix your own juice's using your concentrates and oils. 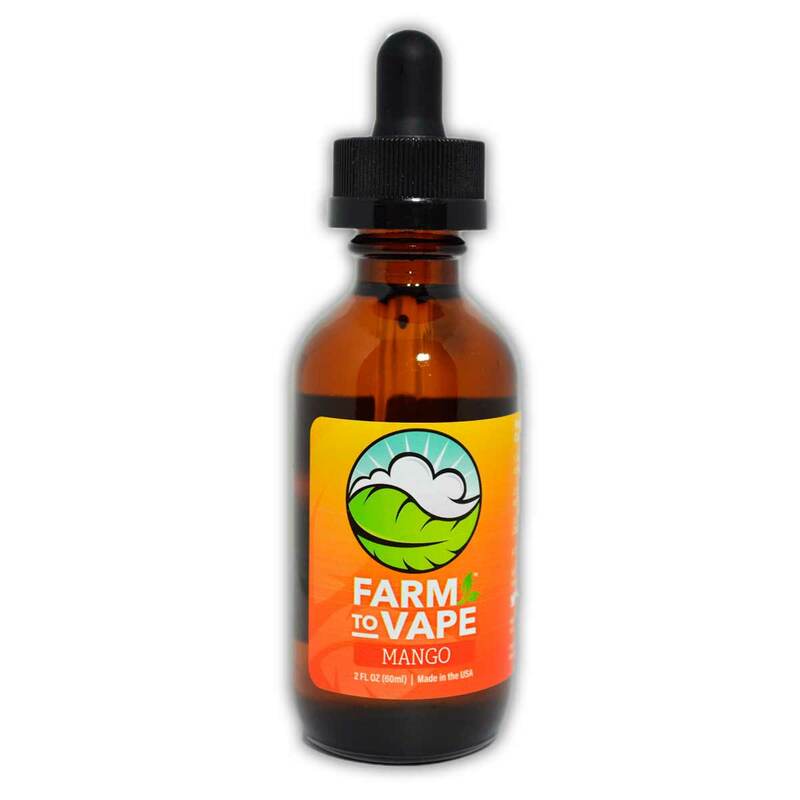 Using only the highest grade PEG's and natural flavoring we have created the perfect blend to ensure consistency, quality, and a formula that will never separate to give you the longest lasting blend possible. The natural mango flavor has a natural terpene profile that adds a light tropical taste to help accentuate the existing subtleties of your concentrate's flavor. 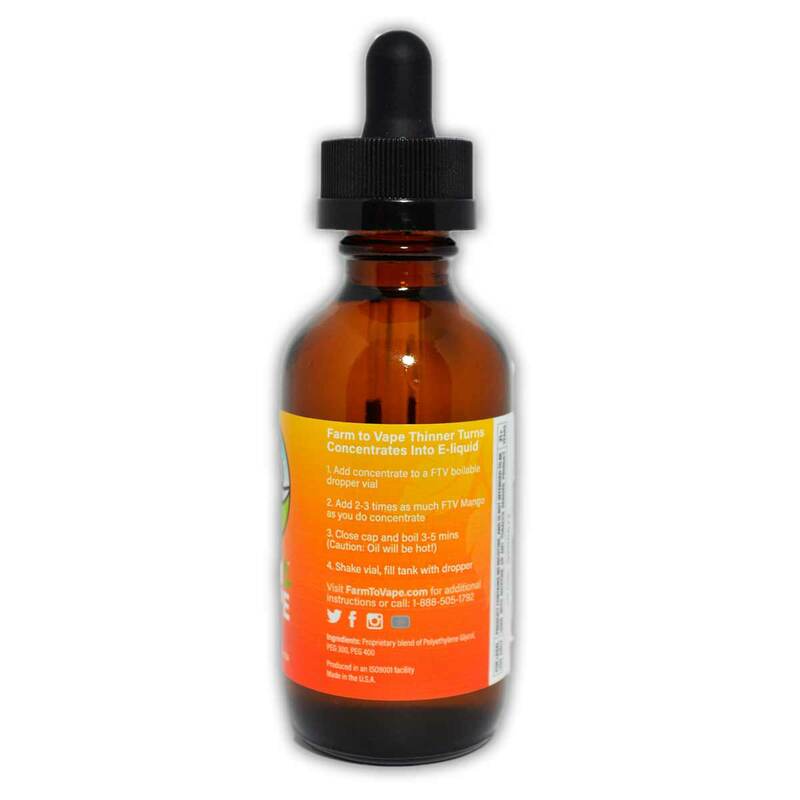 This is our 60ml size for those who are looking for a larger bottle of our famous Thinner in mango flavor. 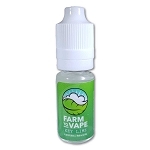 If you like to make many different strengths at a time, then this 60ml size is for you. Very good mixer but the mango was not very noticeable when vaping.. It could be a little stronger since it gets diluted down in the mixing process. Great products. Shipped in a timely manner and great customer service. 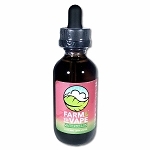 I will continue to purchase these products because they have made it very easy to make your own e juices. Works great with a variety of concentrates. 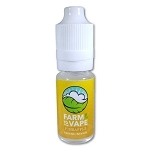 I tried all all farm to vape flavors, all are Great But the Mango is my favorite! My favorite flavor of all the great flavors. I found that most vape pens did not produce enough vapor for me, which is when I started learning how to rebuild my own coils and wicking them using cotton. I now drip and vape FTV with satisfaction. Great product! I mixed mine a little light on the Mango. Still great taste of the original product with that tropical hint. Q: Can you use this liquid to mix with concentrates? Compared to the Mango kit, is it the same or better? A: Hi, The Mango 60ml is the same as the 10ml Mango that's in our kit, it works exactly the same and has the same natural flavor from Mangos. 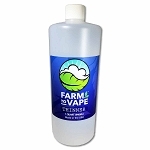 Q: Are larger volumes offered than 60ml? 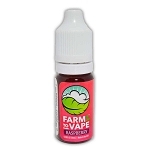 A: Hi, we currently only have the 60ml size for flavors; we will have gallon sizes in January. More flavors to come as well, stay tuned!